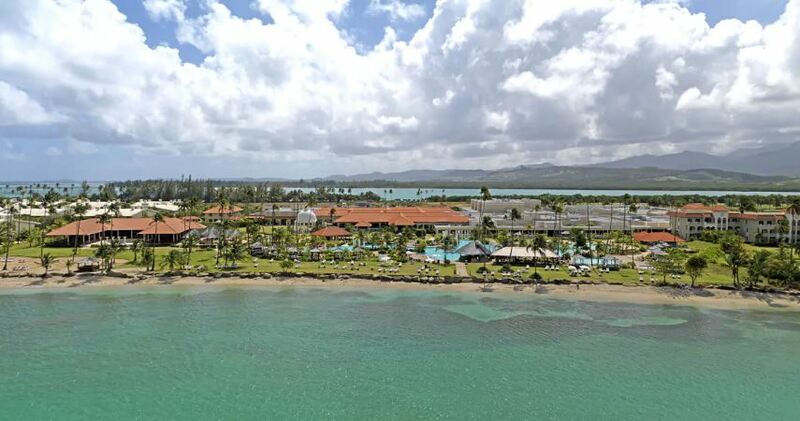 After some earnest strength and perseverance, Puerto Rico resorts are up and running again following the damage of Hurricane Maria. Travelers are invited to explore paradise on an exotic island experience they won’t forget! Puerto Rico’s striking beauty and colorful culture make it a unique place to visit. Even better, you don’t need a passport to enter when traveling from the US, which is great for those who may not have theirs yet. A beach vacation in Puerto Rico can only be improved with awe-inspiring views of lush green rainforest. 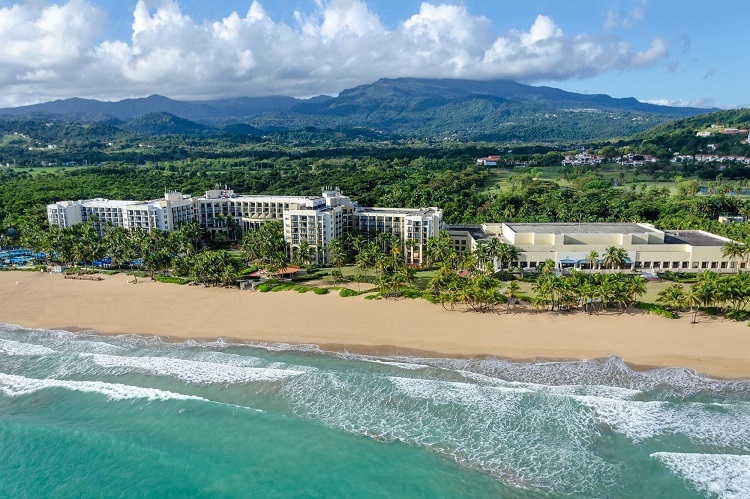 Adjacent to the island’s famed El Yunque Rainforest, Wyndham Grand Rio Mar Puerto Rico Golf & Beach Resort delivers scenery second to none. Accommodations feature a private balcony from which you can enjoy unparalleled views. Stay in touch with loved ones back home with free Wi-Fi and fall back onto plush bedding for well-rested nights. The resort even offers pet-friendly rooms if you wish to bring your four-legged friend along (but heads up, this may come with a fee)! Three separate lagoon-style pools offer something for every mood. 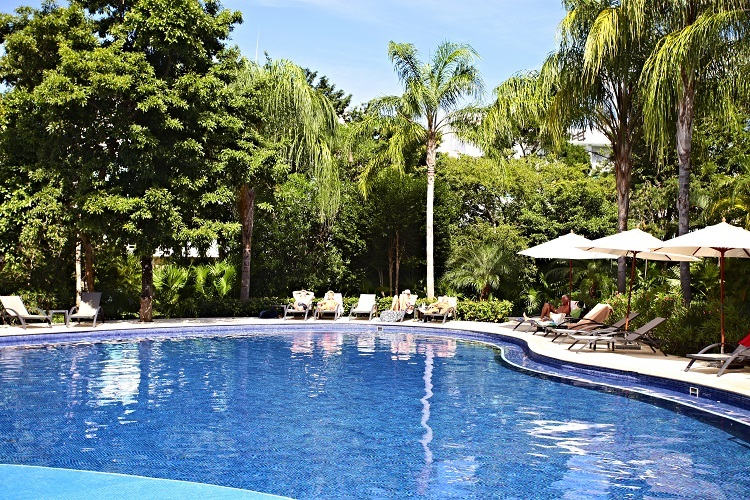 Imagine yourself lounging next to the Quiet Pool, a peaceful respite for anyone seeking relaxation. Kids of all ages can revel in slides and activities surrounding the Activity Pool while adults can rent a private cabana and enjoy towel service, water, and fresh fruit. In addition, a one-mile stretch of Puerto Rico’s most delightful beachfront is only a few steps away for sunbathing. Families with kids will appreciate activities such as nature walks, arts and crafts, face painting, dance aerobics, and more. Depending on what time of year you’re visiting, you may even have the opportunity to witness turtle nesting and hatching! Two 18-hole golf courses allow players to test their skills surrounded by the rain forest, Atlantic shores, and Mameyes River. Each hole blends seamlessly into the natural surroundings. So whether you choose the Ocean Course or the River Course (or both! ), you’ll have a one-of-a-kind experience. Amid all the fun, make sure you indulge in the resort’s fine dining options where meals range from juicy burgers to the authentic flavors of Puerto Rico. Barista Café serves locally-sourced coffee and delicious pastries while handcrafted drinks are found at 5 O’Clock Somewhere and Caicu Bar & Tapas. Regardless of how you want to spend your vacation days, Wyndham Grand Rio Mar Puerto Rico Golf & Beach Resort is waiting to cater to your every whim! Book now and SAVE on your vacation: Wyndham Grand Rio Mar Puerto Rico Golf & Beach Resort packages are available at All Inclusive Outlet. Melia Coco Beach is unique in its avant-garde style; the design and architecture of this all ages Puerto Rico resort give a nod to the timeless style of an era past. 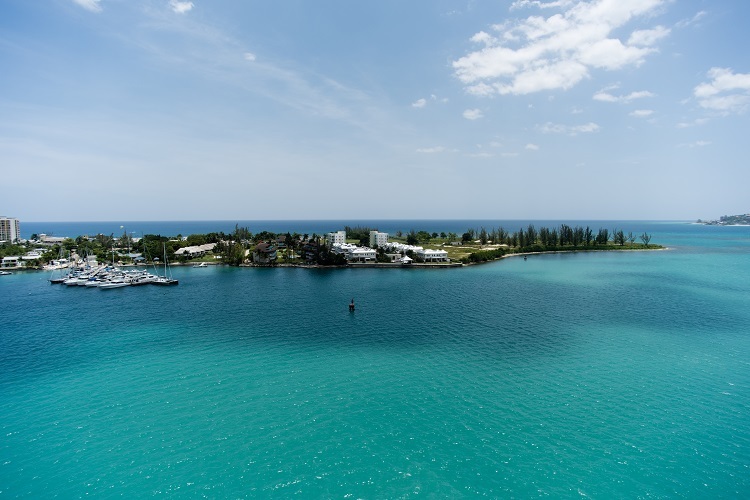 As one of the only all inclusive resorts on the island, you’ll enjoy beautiful accommodations, fine dining options, and a host of services and amenities to make your stay truly memorable! If you want to experience the utmost in luxury at Melia Coco Beach, start in your elegant room or suite. Amenities like a flat-screen TV, in-room minibar, room service, and more make you feel utterly spoiled. The exclusive, oceanfront Presidential Villa has everything you need to bring the luxury up a notch. You’ll have your own furnished patio that takes you outside to your private pool or straight to the beach. Plus, complimentary Happy Hour every day, access to The Level Lounge, private check-in and check-out, and more will give you true VIP treatment. Melia Coco Beach is well-prepared to satisfy any cravings you may have. Fill your appetite with cuisines like Asian, Italian, Mediterranean, and Caribbean or quench your thirst at one of the onsite bars. Sip on your favorite cocktail from a Bali Bed, next to the pool, or before dinner as you kick-off your evening. Let loose and enjoy your time in paradise. Daily activities like tennis, volleyball, yoga, salsa lessons, and more keep you active. Sparkling pools invite you to cool off and enjoy as much downtime as you want. You’ll also receive discounted green fees at Coco Beach Golf & Country Club for scenic rounds of golf. 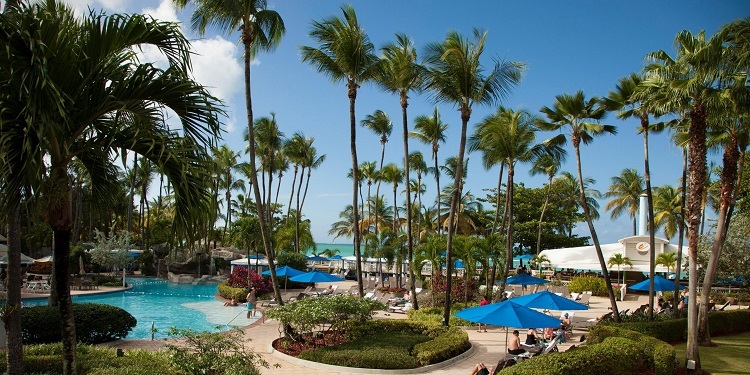 The perfect blend of relaxation and excitement suits all guests at Melia Coco Beach Puerto Rico Resort! Book now and SAVE on your vacation: Melia Coco Beach packages are available at All Inclusive Outlet. Not everyone looking for fun in the sun needs or wants sand between their toes. At Sheraton Puerto Rico Hotel & Casino, guests are treated to the urban highlights of this Caribbean island. The hotel is conveniently located near the historic streets of Old San Juan as well as the international airport. Seize the opportunity to explore the local area and experience the vibrant community! Within the hotel, there’s a multitude of possibilities for entertainment and relaxation. The fourth floor features a spectacular infinity pool and lounging deck. Stay active at the fitness center, but make time for a soothing massage at Zen Spa. Those looking to splash in the beautiful waters of the Puerto Rican coast can reach Condado Beach via car in a few minutes. The onsite casino provides 24/7 excitement with a variety of games including Poker, Blackjack, Roulette, and more! Quiet, peaceful moments are best enjoyed in the privacy of your guestroom. Make yourself comfortable with amenities like plush bedding, satellite TV, and 24-hour room service, to name a few. Club Level rooms provide access to the Club Lounge while several suite categories accommodate up to four people looking for plenty of space to stretch out. Dining options include an authentic Brazilian steakhouse and a unique venue featuring Cuban and Puerto Rican fusion. You’ll also find burgers, sandwiches, and snacks when you’re looking for a quick bite to eat. Top off your stay with a refreshing beverage as you relax at the pool bar or settle into the elegant lounge for a laid-back evening. Although the Sheraton is not a traditional all inclusive resort, a Travel Specialist from can help you choose the right meal plan. 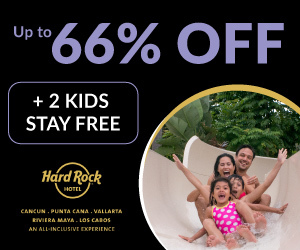 Book now and SAVE on your vacation: Sheraton Puerto Rico Hotel & Casino packages are available at All Inclusive Outlet. The InterContinental San Juan offers a lovely retreat for anyone seeking rest and relaxation in Puerto Rico. This beachfront resort is close to the Luis Muñoz Marín International Airport, but a world away in terms of aesthetics and tranquility. Guests will delight in the presence of Isla Verde, one of Puerto Rico’s premier destinations noted for its convenience and impeccable beauty. The hotel’s full-service spa has a variety of massages, body treatments, and facials to reinvigorate even the weariest traveler. Take your relaxation and lazy by the lagoon pool or on the shores of Isla Verde Beach. If you’re a foodie that likes to be spoiled while vacationing, the InterContinental San Juan supplies the culinary creativity you seek. SAK-I is a landmark restaurant that pushes the envelope with Asian favorites fused with a Latin flair. Aleli allows patrons to dine al fresco as the cool Caribbean breeze and swaying palm trees enhance superbly imaginative cuisine. For a mouthwatering steak, Ruth’s Chris Steak House is open daily for dinner while serving brunch every Sunday. Lighter options such as fruit, pastries, assorted cheeses, and sandwiches can be found at La Bodeguita. Akua Bar sits poolside and serves quick meals and tasty drinks. Finally, Q Bar features two separate areas for lounging. Whether you’re outside on the terrace or sitting in the lobby, drinks and appetizers are available for you to savor. Accommodations relieve you from eventful days in the sun. Modern décor sprinkled with island color create a warm atmosphere you can settle into. Your room or suite features a separate living room, turn down service, whirlpool tub, minibar, and more. You can also take advantage of in-room dining if there’s ever a night you’d rather stay in. These moments in paradise are yours, so savor every one of them! 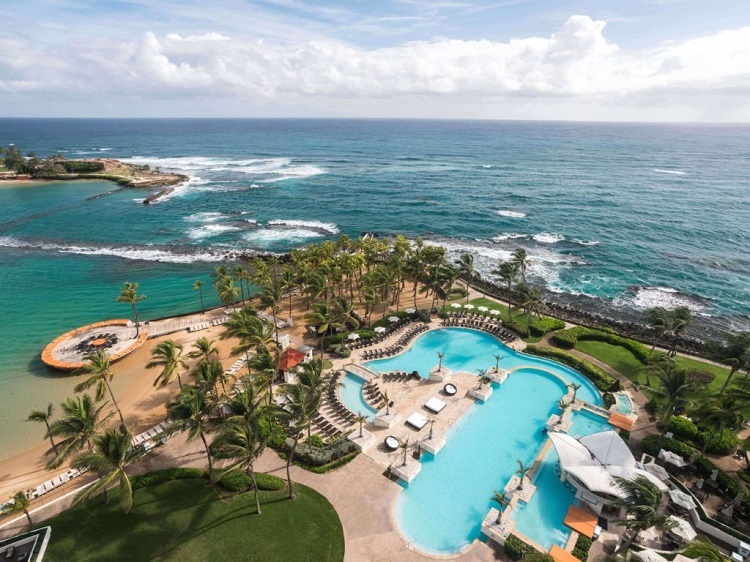 Book now and SAVE on your vacation: InterContinental San Juan packages are available at All Inclusive Outlet. 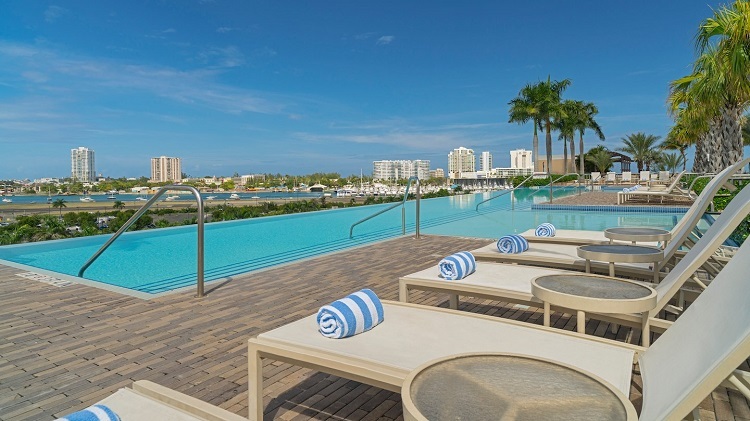 A captivating example of state-of-the-art design, the Caribe Hilton San Juan combines comfort and innovation. The hotel is celebrated for being the birthplace of the famous Piña Colada! Luxurious indulgence is a family affair while staying at the Caribe Hilton San Juan. The Olas Spa offers a vast array of rejuvenating treatments for adults and teens. 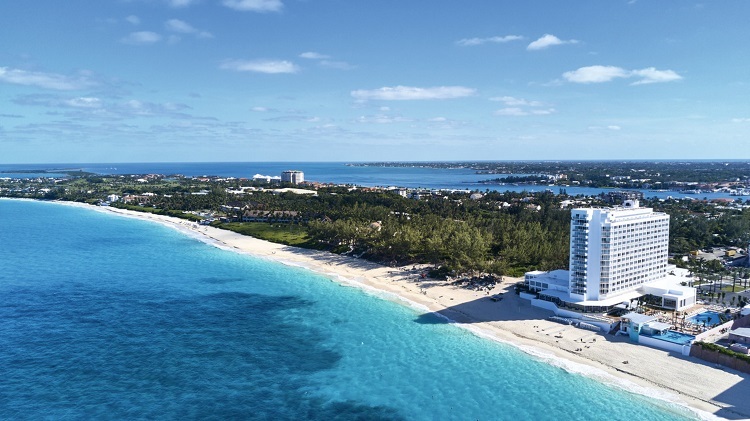 A private beachfront, playground, and pool area allow for hours of family fun. 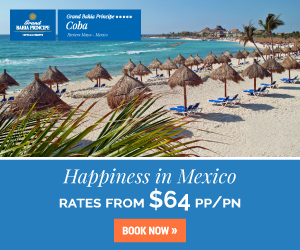 Additional activities like snorkeling, tennis, and more are also included in your stay. Parents will appreciate babysitting services, children’s menus, cribs, and high chairs to keep even their youngest child content. Undoubtedly, between all the fun and adventure, your crew will be delighted with the dining options as well. Whether it’s a world-renowned steakhouse, classic Italian, or Puerto Rican favorites that tempt your taste buds, you’ll discover delightful offerings at each of the resort’s eateries. Don’t forget to enjoy a delicious Piña Colada at several venues including Caribar where you can try different variations of the signature drink! Spacious rooms and suites will make your stay on the island as comfortable as possible. All accommodations feature private balconies with breathtaking views and complimentary Wi-Fi. 24-hour housekeeping makes sure you always have fresh sheets and clean towels while the in-room movie channel will keep little ones entertained. Enhance your stay by booking a luxurious suite that may feature indoor/outdoor whirlpools, a small kitchen, and separate living and dining room areas. Whichever you choose, you won’t be disappointed! Book now and SAVE on your vacation: Caribe Hilton San Juan packages are available at All Inclusive Outlet. An exotic experience is waiting for you in Puerto Rico! 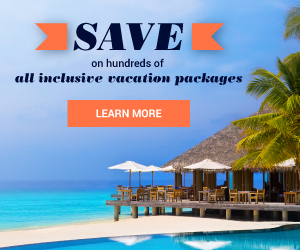 Act fast and visit All Inclusive Outlet today so you can find the best discounted vacation package for your next Caribbean beach vacation.